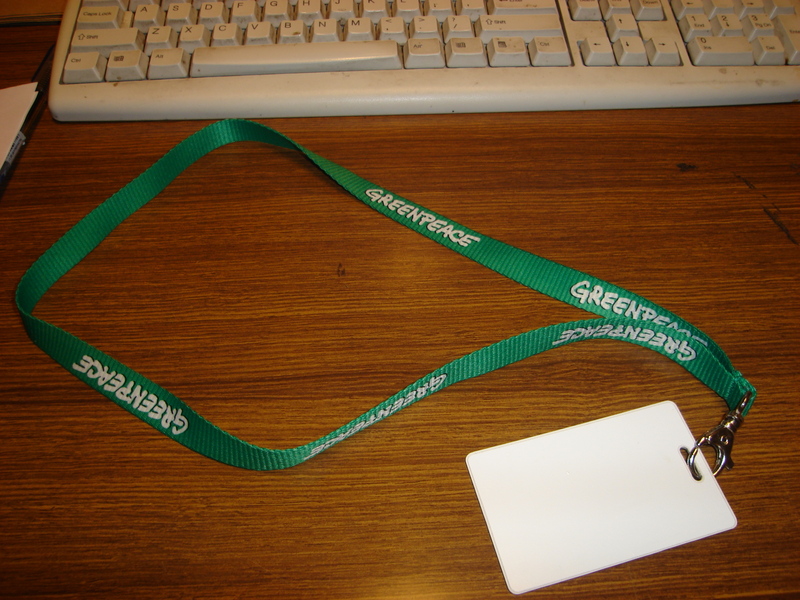 I did my Greenpeace internship for credit. One of the elective units I took last semester for International Communication required us to undertake a minimum of three weeks internship and thereafter we had to deliver an oral presentation and hand in a 5,000 word paper. I must’ve applied to a bajillion consulates here in Sydney, but all I got was a handful of replies stating that they were not offering any internships at the moment. Thankfully, Greenpeace got back to me in lightning speed and offered me a place at their office. What particularly piqued my interest about doing my internship at Greenpeace was the fact that they had a formal internship program in place, and they actually encourage international students to come to Australia and volunteer at their Sydney office. Also, they are probably the only internship provider which gives interns a daily allowance to cover food and transportation. In addition, I enjoy volunteering tremendously. I had previously done a fair amount of volunteer work back in Manila (and once here in Sydney), but this was my first time to get involved in environmental advocacy and it greatly excited me. – Upon the insistence of my lecturer, I negotiated with the Volunteer Coordinator that I be assigned with the Campaigns Department. Since one of the core skills we were expected to learn in this unit was “negotiating work arrangements”, I reluctantly shed my shy-skin and spoke to the Volunteer Coordinator about it. I let him read my approved internship proposal which specified that my Broad Skill Area (BSA) for this Work Integrated Learning (WIL) was Organizational Communication, my Median Skill Area (MSA) was Campaigning and my Narrow Skill Areas (NSAs) were writing letters and/or press releases and articles, preparing campaign publicity materials, organizing campaign events and liaising and coordinating with other campaigners. Fancy-schmanzy terms aside, the extremely pleasant Volunteer Coordinator arranged for me to work with the Clean Energy and Climate Change Campaign Teams. Initially, he was hesitant to put in me in the Campaigns Department because he was under the impression that I was painfully shy and he feared that I might not”thrive” in such a stressful and fast-paced environment. He actually gave me the option of working at the Communications Department instead since he felt that it would be better suited for my personality, skills and my field of specialization. In the end, I decided to go out of my comfort zone and just stick it out with Campaigns, mostly because I couldn’t be bothered to revise my internship proposal all over again. – My direct supervisor at the Campaigns Department was this dear old lady Sarah Neal, who headed the Grey Power Community. Grey Power is an initiative supported by Greenpeace to encourage older Australians to take action on tackling climate change. Sarah had been the complete anti-thesis of Meryl Streep in The Devil Wears Prada; she gave me free reign around the office and was just about the nicest boss ever. She always affirmed my work and kept apologizing profusely for giving me menial tasks. On my last day, I wrote her a short note and gave her a pack of dried mangoes and Chocnut. To my surprise, she also handed me a gift-wrapped present. Inside were two books: The True-Blue Guide to Australian Slang and a book of Australian panographs. Sarah also gave me her number and address, and told me to come visit her home in Manly sometime. – Greenpeace work culture dictates that I could take as many breaks as I want, come in at 10:30 and have lunch for two hours. Theirs is probably the most laid-back office environment ever. Most of the campaigners don’t report to work everyday and some work from home. They could go on holiday for weeks, but I assume that they still do Greenpeace work in the field. In the middle of the day, the PA would announce that there would be a soccer match at the park (our office is near the Tumbalong Park at Darling Harbour) and everyone would leave their desks to either play or watch. On my first day, I wore passably decent smart-casual attire; but then I saw this IT guy walk past who was wearing boxers and a white undershirt. This inspired me to come to work in my Chucks and ratty jumpers from then on. Also, employees ride their bikes to work, and they park them inside the building. – I did a lot of grunt work at Greenpeace like opening and sorting mail, envelope stuffing, sticking address labels, data encoding, wrapping posters and windwills (haha will explain next time)…but who’s complaining? I loved every second of it. I realize that working with my hands (i.e. folding) is very therapeutic and relaxing. Also, I knew that no matter how small the task, if it helped save the environment somehow then I would go home a very happy intern. Nevertheless, I was also able to do some non-menial stuff as well, like editing the Grey Power newsletter, doing research on climate change and renewable energy and helping with the preparations for the launch of The Big Switch website. The Big Switch is a fast-growing coalition of Australian organisations, businesses and community groups whose goal is to raise awareness about climate change solutions by informing people about simple lifestyle choices we can make to reduce our greenhouse gas emissions. Concrete proof of my contribution to The Big Switch site could be seen here, but if you check out the other forums you might come across my other numerous posts as well. – The Volunteer Coordinator also pulled some strings so I could attend an internal workshop for Communications interns. I ended up videotaping the workshop despite my absolute lack of skills in operating a videocam just so I could “attend” this session. I’m pretty sure the tape’s got a lot of Blair Witch Project-esque shots. – My best experience as an intern by far and hands down would have to be the day I went postering at Bondi Beach. Together with an Aussie intern (whose accent was as thick as glue), we were sent off to Bondi to put up posters publicizing the Save Anvil Hill rally (Anvil Hill is a coal mine). We were told to stick the posters near bus stops and outside cafes for maximum public exposure. But when we got to Bondi, we were surprised to find that all the posts were bare. Apparently, since it was a busy tourist spot, the Council preserves Bondi’s cleanliness by tearing down all posters on walls and posts. In addition, several police and Council people were patrolling the area when we arrived. Wah! We had not been forewarned that it was illegal to go postering in Bondi. We initially wanted to ring the campaigner who assigned us this task to tell him that we wanted to back out, but then we decided to just do it and get it over with. So, me and my partner proceeded to carry out our work as inconspicuously as possible, lest we be arrested. This was our division of labor: I was the designated “holder” while my partner was the designated “taper”. We expertly put up each poster in under a minute, while dodging police and Council people. I just had to keep one poster for myself to remind me of my best/worst day as an energy campaigner. – As a parting gift, I was taken to lunch at an Asian vegetarian resto (which serves vegetarian peking duck) and given a Greenpeace goodie bag with a mug, a CD and an uber cool shirt which reads: “We love Japan…but whaling breaks our hearts” (I also helped out with the data encoding for the whales campaigns). Also, I was given a magnificently written reference letter. Woohoo! – I have now been using green bags instead of plastic when I go grocery shopping. I have also convinced my flatmate to switch to green electricity. We now switch off our appliances at the power point when not in use. As long as I can still handle the cold, I do not turn on my heater. I take quicker showers now since even an extra minute would waste a significant amount of water. I now know which foods are genetically modified, and as much as possible I try not to buy these products anymore (but I can’t seem to give up my Doritos, Oreos and Maggi seasoning, sorry). Little things, but I know that in my own small way I am reducing my greenhouse emissions and saving our dear planet. Thank you, Greenpeace, for enlightening me on this.